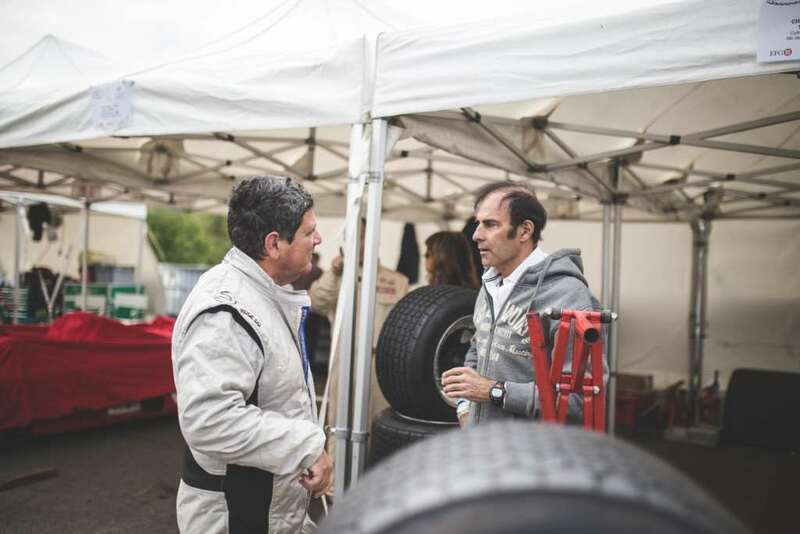 Emanuele Pirro always looks delighted to be on the guest list at Goodwood, and we are always delighted to see him anywhere! 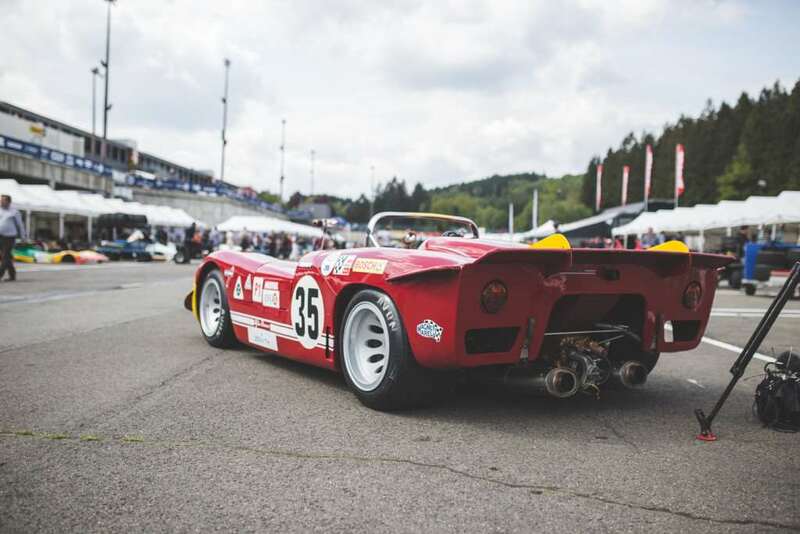 Especially here at the Spa Classic, where he’s driving an utterly droolworthy Alfa Romeo T33/3 that stops us in our tracks every time we pass it in the paddock. 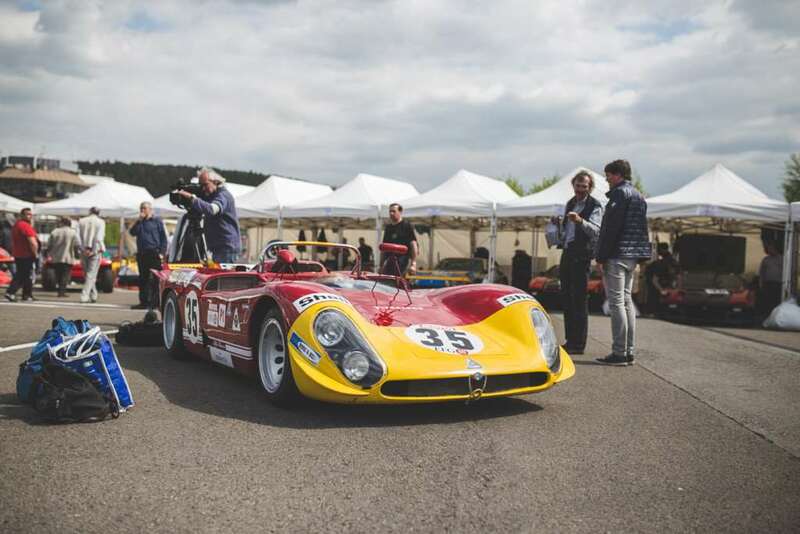 Powered by a 3.0-litre V8 making 400+ horsepower, we thought the little red 670kgs Italian rocketship must be thrilling to drive but – perhaps surprisingly – Emanuele (above right) says the engine is the opposite of ‘peaky’. 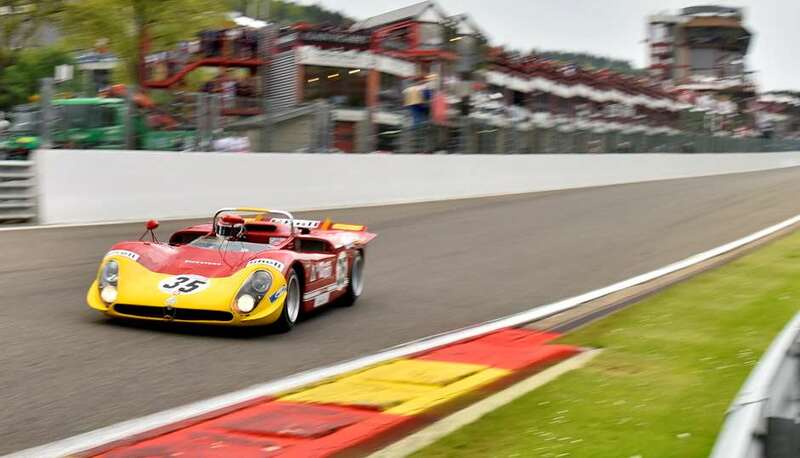 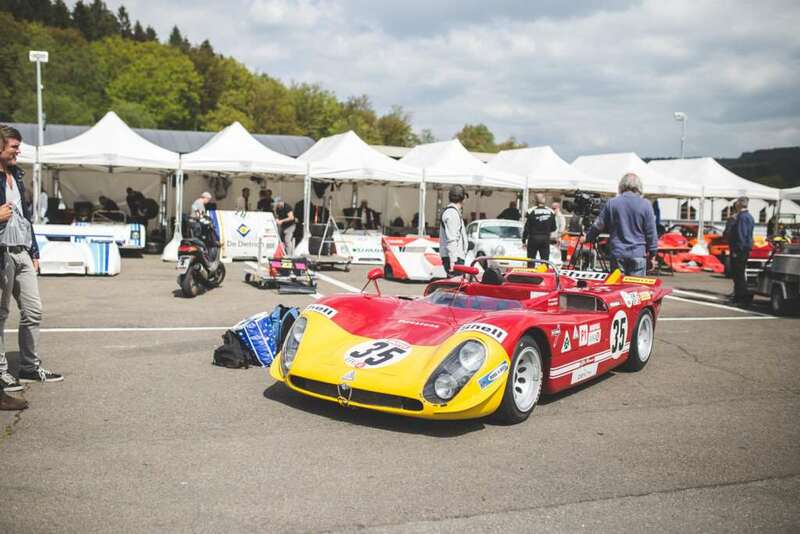 The car has just come out of a painstaking restoration to racing condition by its owner Gianluca Rattazzi who’s sharing driving duties here at Spa with Emanuele. 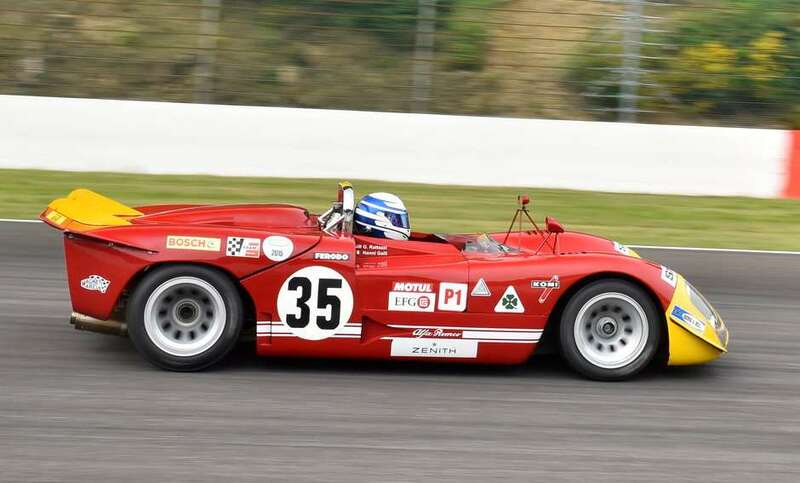 The Alfa is certainly a thing of beauty and, according to Gianluca, even wears 90 percent of its original 1970 red paint. 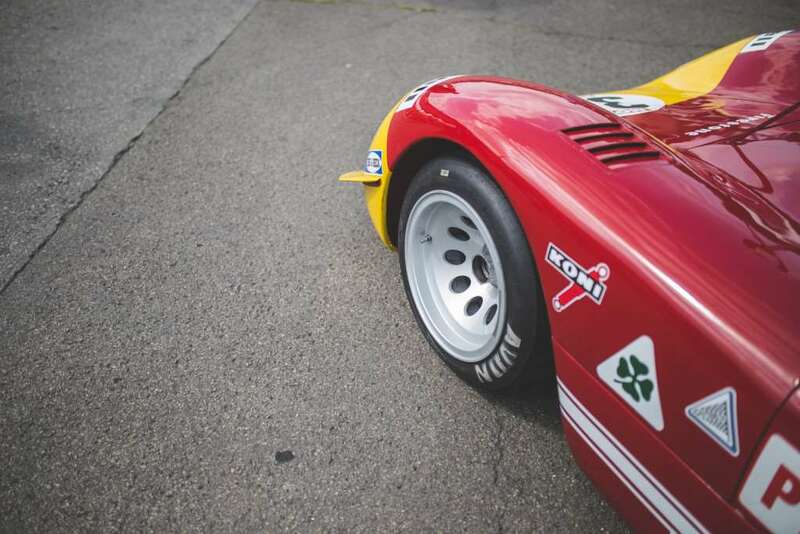 If you missed this very special Alfa at the ’70 Targa Florio, you might have spotted it in the film Le Mans instead. 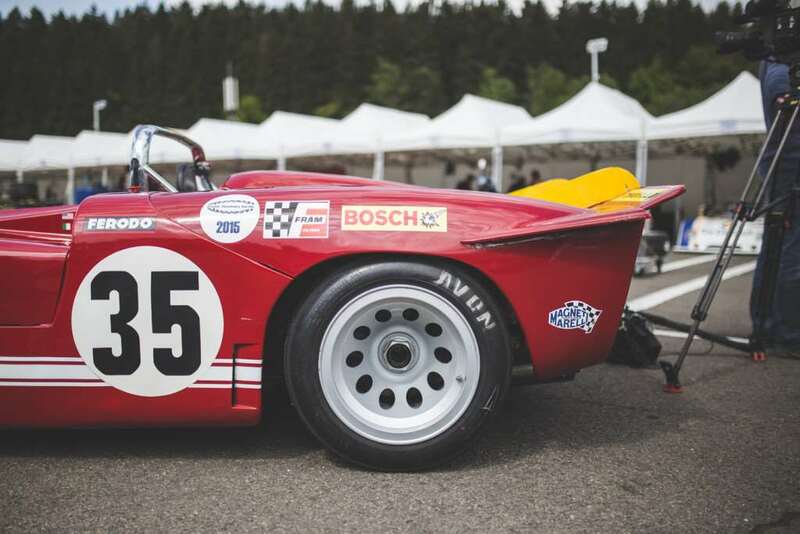 We can say it’s terrific to see it back on the racing circuit too. 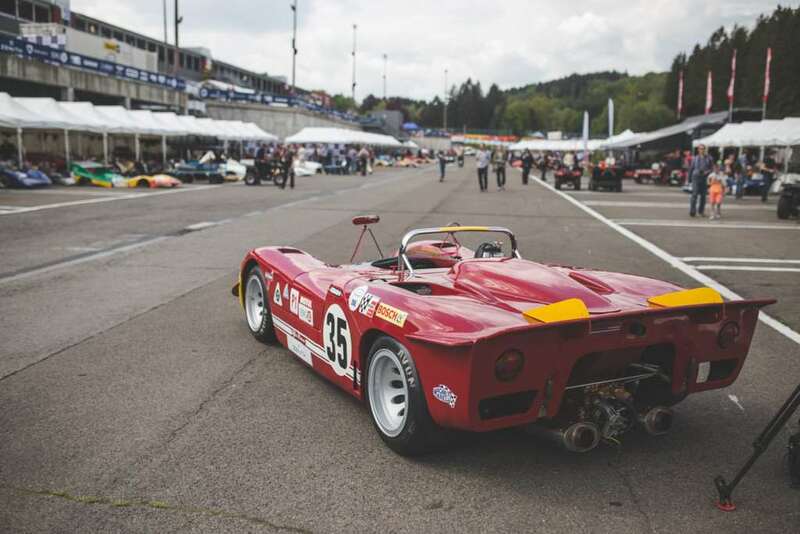 The engine will rev to 10,500/11,000rpm (12,000rpm in extremis), but the noise won’t be all it could be as cars require a degree of silencing to run here at Spa. 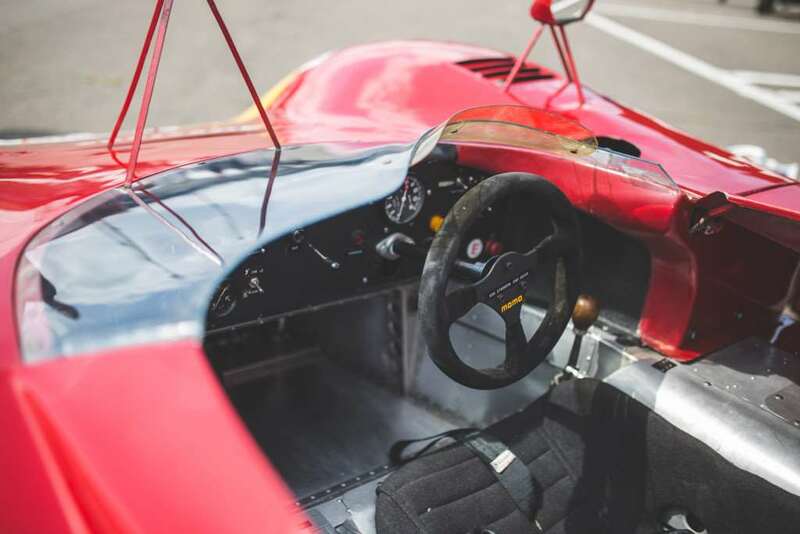 ‘It’s true the spectators won’t be able to enjoy the noise quite as well as they should, but I get to hear all the best induction noises from the cockpit,’ says Emanuele.